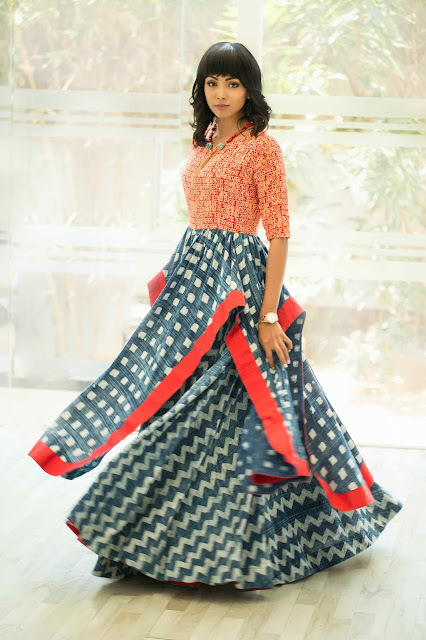 With an eye-catching lineup of her collection, Nandhitha Ramesh has secured her place amongst the talented and blooming designers of the country. 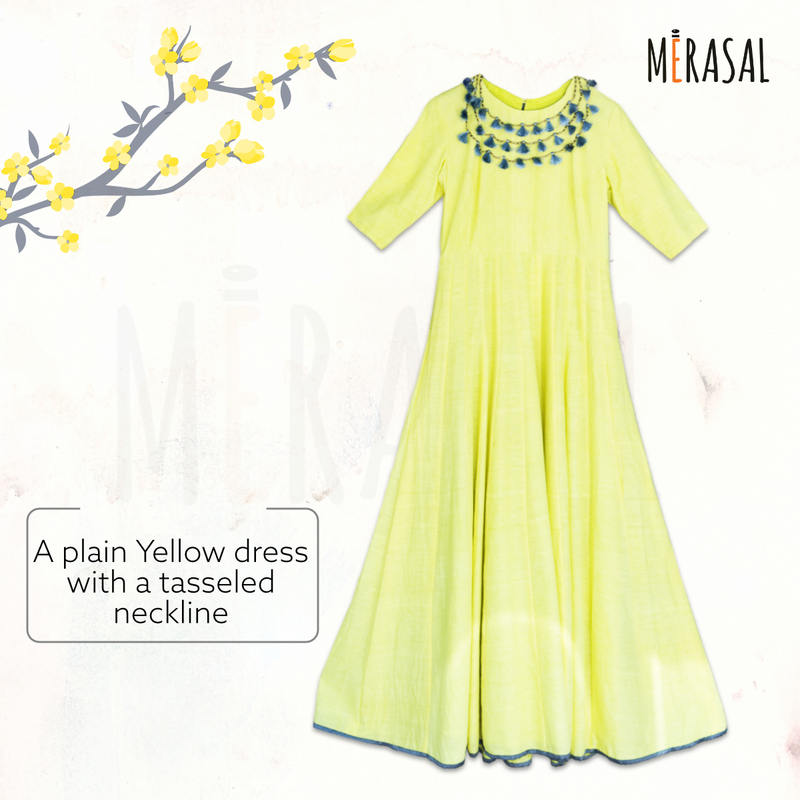 She’s the sole debutant from Chennai who showcased her artistic creations through ‘Merasal’ label. She has graduated from the London College of Fashion. She follows a particular set of design philosophies and is a true believer of fierceness women can depict through their attires. Needless to say, she has been successful in giving an identity to the feminine strength with perfect twists of innovation and passion. Nanditha has effectively put together a brilliant exhibition of her latest collection ‘Myriad’ and welcomed the summer season quite stunningly. The collection originates from six tributaries, namely Meera, Semicolon, Neelambari, Kalamkari, Ikat and Aura, each happens to hold a distinct meaning which together brings to life a set of beliefs that impact the design industry. 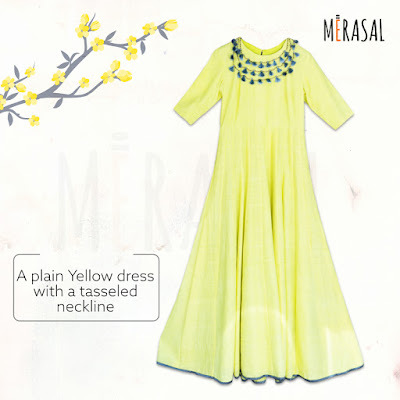 Meera signifies a timeless grace and channels its roots to simplicity through a modish color palette. Semicolon finds its sources from the geometric brilliance of better blunt colors which signify the power of intricate designs and minimalism. Neelambari draws its ideas from nature and its enthused patterns, so one can expect floral and motif touches with a strong illustration of Indian Art-Nouveau. Merging tradition and modern vibes, a line-up of the contemporary set of designs give birth to Kalamkari line. When the dyeing and textile print techniques are given a revised with hints of the new era, Ikat emerges as one of the lines of beautiful clothing. Aura spreads its range with the focus to point at the feminine essentiality with soothing cuts and colors. The collection of unique ensembles extends with a sense of unity that pushes the obvious trail of ideas aside and establishes a delightful change of women’s perfection. 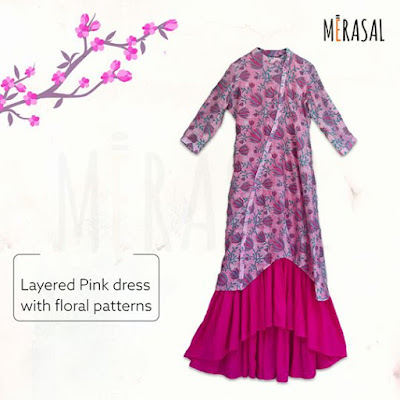 Myriad collection of sarees, kurtas, Anarkalis and Maxi dresses, speaks quality of the luxury a woman deserves. All the clothing have been crafted with select fabrics like cotton, khadi, ikkat, and kalamkari. Proving the term myriad correct, her work empowers the various positive mindsets and weaves it finely into the elegant outfits. 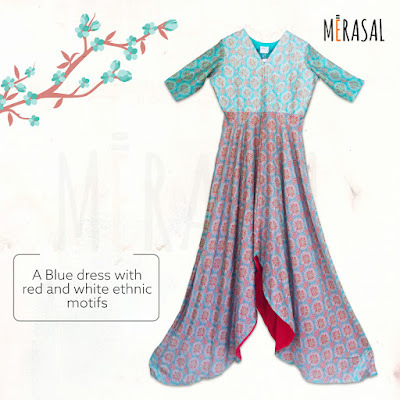 Find your personal favorites at Merasal’s Facebook store and get inspired to celebrate courage.